Cesar’s Concrete has become a mainstay within Windsor and the rest of Northern Colorado over the past 20 years. We are locally owned and family operated, and have had dozens of clients in Windsor within that same time frame. We also serve the surrounding cities including Fort Collins, Greeley, Loveland, Longmont, and Berthoud. 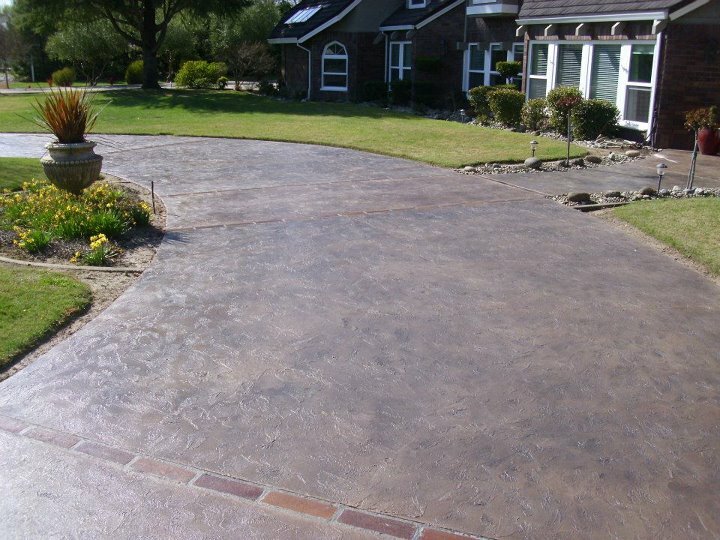 We provide a wide range of concrete flatwork in the area that ranges from concrete driveways, walkways, patios, and beyond. For more details on our commercial and residential concrete services see the content below. Residents of Windsor often choose Cesar’s Concrete as their premier local concrete contractor to work with for concrete and cement driveways on both residential and commercial projects. This is due to is our commitment to combining our quality work and service for an affordable price. We offer cost-effective concrete driveway services and provide complimentary quotes and consultations for everyone who contacts us. Our residential and commercial concrete experts will help you decide what style and color of concrete driveway that would best suite your unique home or business. Whether you need your driveway to be repaired, replaced, or a new design, Cesar’s Concrete would love the opportunity to earn your business, get in contact with us today! We can help you with your concrete walkways, sidewalks, and curbs as well. 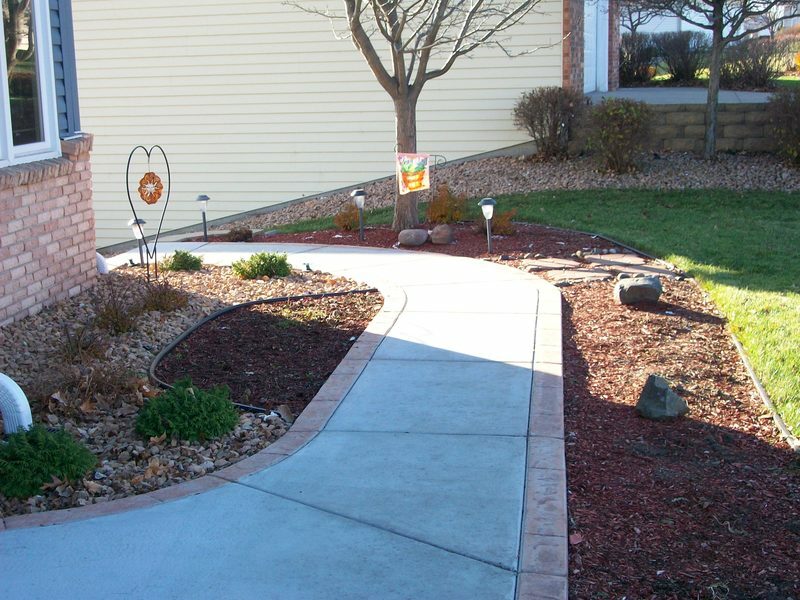 Whether you own a home and need a new walkway through your backyard, or are a business owner who needs sidewalk concrete repair service, Cesar’s Concrete has your back. We can offer you competitive pricing, great service, and can assure you that we go above and beyond expectations with our attention to detail. This is to make sure that you are 100 percent satisfied with our finished product. 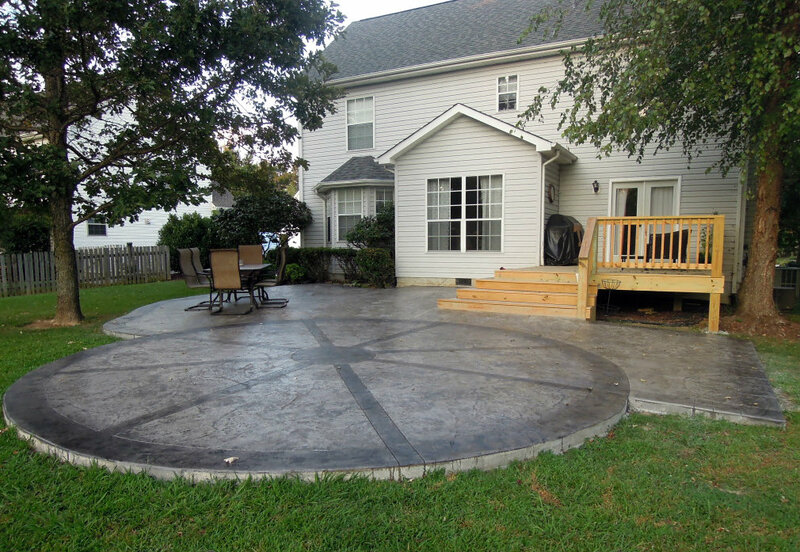 Are you in the market for a new patio for your home or business? We are pleased to inform you that your search for a trusted Windsor concrete contractor who can complete your project in a timely and affordable manner has ended here with Cesar’s Concrete. With over 20 years of experience in decorative patios, Cesar’s Concrete can help you turn your dreams into reality. We operate by combing our clients ideas with our experience from past projects to design and construct a finished product that you will be proud to show off. Get in contact with us today for your free estimate. As Windsor’s decorative concrete contractors of choice for many home and property owners, we offer a wide variety of concrete colors and use an approach called stamping concrete, which is utilized to imitate other traditional stones and types of masonry approaches. We can apply these techniques to match the style of your Windsor home or business to any type of concrete flatwork service that we provide. Get in contact with us today to learn about the different coloring options and styles that we would be able to apply to your Windsor concrete project. Perhaps you are like Michelle in the beginning of the article and were searching “concrete contractor near me” or “concrete services Windsor” into your smartphone or tablet. Who knows, maybe you went on a desktop to find us or had our phone number saved on your phone! At any rate, you are here now and know that Cesar’s Concrete offers an array of concrete services. No matter what you are looking for, we are here to provide you with a free consultation and can guarantee that you are working with an affordable local concrete contractor of Windsor. Get your free estimate from Cesar’s Concrete today!